As a doctoral student exploring theory and creative practice of diasporas in the mid-2000s, I ended up making a documentary about Indian migrants in Adelaide (titled, I Journey Like a Paisley). There was little academic or popular literature on the matter then. A few years later, the racist attacks on Indian students in Melbourne put this demographic into the national spotlight. This was at least in part due to the worsening diplomatic relations between the two nations, and the Australian government’s attempts to mend the same through the setting up of the Australia India Institute (AII) at the University of Melbourne. We ought to be careful not to generalise the voting patterns of ethnic groups that are extremely varied in their composition. Many of us of Indian origin felt on the outer during the student crisis as it was usually self-proclaimed presidents of ethno-linguistic associations, or “rabble rousers” with meagre analytical credentials who were quoted by the local and international media. However, when the AII released a report titled “Beyond the Lost Decade”, we decided to give our research, creative works and solidarities a damn good airing. This report made little of the Indian diaspora in Australia, referring to them as a “model minority” that flies under the radar in a political sense, while admitting that there wasn’t substantial research on this group. Supported by fellow “ethnic killjoys” – a term I’ve previously used to describe a person asking difficult questions about the diversity of fellow “ethnics” and “non-ethnics” alike – I decided to write to the then director of the AII, Professor Amitabh Mattoo, asking for funding for an event to showcase the cultural capital of the Indian diaspora in Australia. This conference, called “Gondwanalandings: Voices of the Emerging Indian Diaspora in Australia” also received support from the Department of Foreign Affairs and Trade (through their Australia India Council funding), and eventually took place at the State Library of Victoria in September 2013. Since then, initiatives that are vested in the critical-creative becomings of this rather heterogenous migrant community have sprung up across the nation. These include “Southern Crossings”, a writers’ collective of the South Asian diaspora in Australia that, as a consequence of finding little space for people like us in the Australian national imaginary and mediascape, aims to “make our own space”. Now that other communities are being targeted by new kinds of racisms, have the Indian students and their predecessors been relegated to the assimilated margins? Have they turned into “honorary whites”, or are they embodying a palatable level of difference for the mainstream? In the academic space, there is now a bit more research on this community, such as a paper on the “entangled lives” of Indian migrants in Darwin by Michele Lobo. 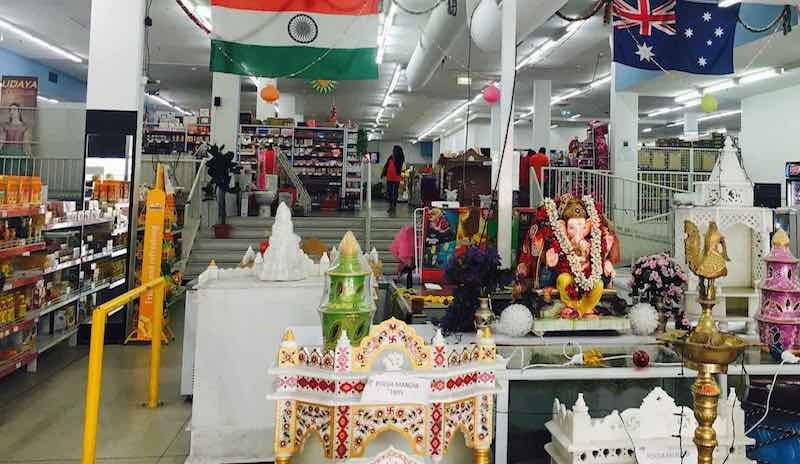 My recent book on food and multiculturalism in contemporary Australia also includes a chapter on South Asian grocery stores in a Sydney suburb, and how these are spaces of conviviality in transit for newly arrived migrants. However, there is still relatively little empirical research on this group and its political involvement in the home and host nations, especially compared to equivalent populations in the US, the UK and Canada. Earlier this year, the Sydney Morning Herald reported on the data from the 2016 Census, and profiled Indian-Australian (via Britain) scientist Dharmica Mistry to declare how “our migrants are mostly following the Aussie dream”. This kind of aspirational lens on skilled migrants isn’t new in the Australian context, but what is rarely examined is its underlying economic rationale. This is especially when humanitarian migrants (also known as refugees) are unfavourably compared to those who arrive here without trauma, and with greater economic means. While not representative of all Indian migrants, recent Australian political candidates of Indian origin present notable parallels to the Herald article, and are indicative of the selective aspirationalism of skilled migrants. For instance, Liberal Party candidate for ex-prime minister Malcom Turnbull’s recently-vacated seat of Wentworth in Sydney’s east is Dave Sharma, a former Ambassador to Israel, and the son of an Indian migrant father. According to media reports, he is targeting an electorate, which barely knows him, with precisely this narrative: the offspring of a hard-working immigrant come good, appropriately grateful and talented, and vested in the economic interests of his fellow citizens. Further south, Labor announced an Indian-origin candidate in the high-profile Melbourne seat of Deakin. This time it is Shireen Morris, who also happens to be an academic specialising in Noel Pearson’s version of Indigenous recognition. Following the aspirational skilled migrant script to a degree, Morris explains in an interview that while copping racism in school gave her empathy towards the historically oppressed, she supports Labor’s hardline immigration policies (including not incentivising asylum seekers). And finally, we also have ethnic killjoys like Alex Bhattal and Lisa Singh who veer from the conventional pathways that endow conditional acceptance to people of colour, and end up losing their place in mainstream politics. In other words, we ought to also look at the consequences of ongoing racism in its obvious and casual manifestations. Not all migrants are likely to be vocal on this subject, but what is not recorded by opinion polls might still be registered though a secret ballot.